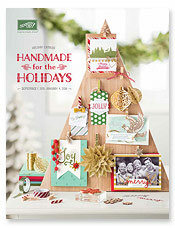 Many of my lovely customers have already received their new 2015 Holiday Catalog and I suspect they are now well-thumbed, tagged and wish lists all completed! But if you do not have yours yet then this will give you a little taster! 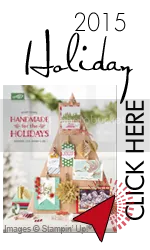 If you have not yet seen the catalog then click this link to see all the wonderful new goodies for this coming ‘Holiday Season’ I shall be using many of these in my upcoming classes, Clean and Simple Stack O’cards, my Virtual on-line class and the Stampin Getaway on October 3rd. Leave me a comment below if you would like a copy of your own – I will be happy to get one to you…… at no charge to you. Then you can go directly to my on-line store ~ open 24/7 ~ to place your order for the wonderful goodies…. Paper Basics Product Share ~ Ready to go!! !